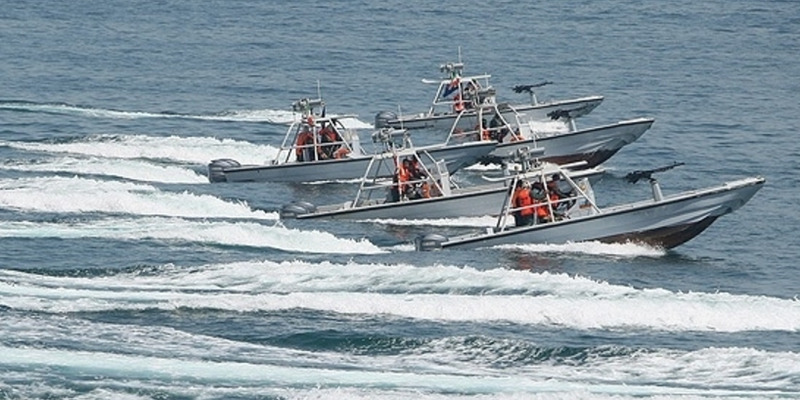 Iran had 50 or so armed speedboats training on swarming maneuvers in the Persian Gulf, and despite their small size and low tech, they could seriously damage the US Navy. The ships aren’t that great, but excel in the exact areas that the US Navy isn’t well suited to handle. Iran has the first mover advantage against the US, meaning a sneak attack could quickly sink massive US ships, even if they lose their whole speedboat fleet in the process — as is likely. 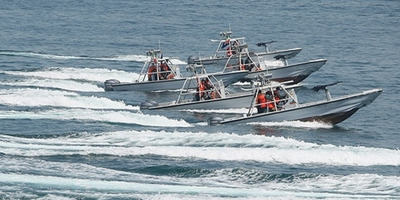 Iran has dispatched its elite Islamic Republican Guard Corps navy to the Strait of Hormuz, a massively valuable waterway that Tehran has threatened to close as retaliation against the US – and despite their small size and dated ships, these commandoes could do real damage to the US Navy. The US Navy stands unmatched on earth in terms of size and ability, but Iran’s IRGC ships are small, fast, deadly, and designed specifically to present an asymmetrical threat to the toughest ships on earth. The IRGC doesn’t have any interest going toe to toe with the US Navy by building its own destroyers or carriers, instead, it’s formed a “guerrilla army at sea” of vicious speedboats with guns, explosives, and some anti-ship missiles, Omar Lamrani, a senior military analyst at geopolitical consulting firm Stratfor, told Business Insider. Currently, that situation is exactly what the IRGC is training for. US officials said that more than 50 small boats are now practicing “swarming” attacks to potentially shut down the strait which sees about 30% of the world’s oil pass through, according to Fox News’ Lucas Tomlinson. For the Iranians, it’s a suicide mission. But in Iran’s struggle to oppose the US at any cost, something it sees as a spiritual matter, they could employ these little ships and irregular warfare to cripple the US Navy. US Navy photo by Mass Communication Specialist 2nd Class Brian CaracciGunner’s Mate 2nd Class Levi Horn observes as Operations Specialist 3rd Class Monica Ruiz fires a 50-calibre machine gun during a live-fire qualification aboard amphibious assault ship USS Boxer. If the US knew a hostile group of IRGC fast attack craft were swarming around the Gulf trying to close down the Strait of Hormuz, there’s no question its destroyers and other aircraft carrying ships could unleash their helicopters to strafe the ships to the bottom of the sea. With enough notice, nearby US Air Force planes like the A-10 Warthog could even step in. “The biggest weapon [US Navy ships] have against these swarm boats is the helicopter. Helicopters equipped with mini guns have the ability to fire very fast and create standoff distance to engage them,” said Lamrani. 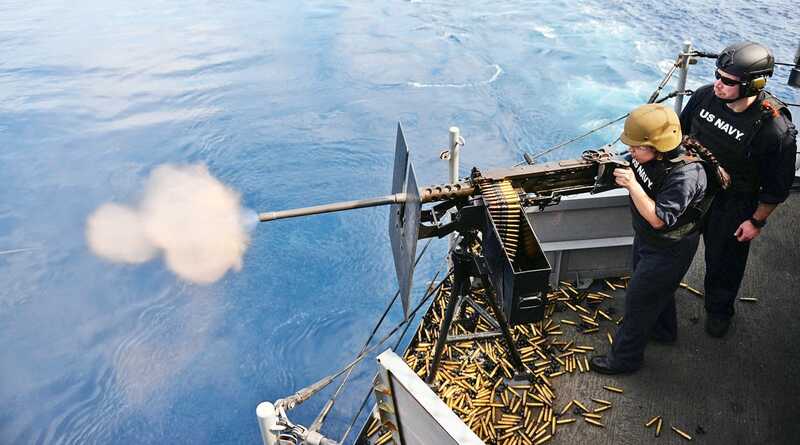 Fars News Agency Photo via USNI NewsIran’s fast attack craft, the type repeatedly used to harass US Navy ships. Iran holds the first mover advantage. The US Navy regularly transits the Persian Gulf, and it does so peacefully. The US and Iran are not at war, so when Iranian ships have harassed the US Navy in the past, they have come within a hundred yards of the billion-plus dollar ships before being warded off by warning shots. That means the ideal scenario for the US, where it sees the enemy a ways out and can call in devastating air power, likely won’t happen. Iran knows it can only win with a sneak attack, so Lamrani thinks that’s how they will do it. “If they decide to do this, they’re going to go as fast as possible, in as many numbers as possible before they get wrecked,” said Lamrani. The US Navy’s lack of training against low-end threats like speedboats further exacerbates the problem. Navy watchers frequently point out the force is stretched thin across a wide spectrum of missions, and that surface warfare, especially against a guerilla force, hasn’t been a priority. Ultimately, no serious military analyst thinks 50 or so Iranian speedboats could hold off the US Navy for long, but caught unawares, the first round could deal a devastating loss to the US. “Given the constraints, this is a very, very effective tactic, very cost effective,” said Lamrani. “Even if they lost an entire fleet of speedboats and they managed to sink an aircraft carrier, a cruiser, a destroyer,” the effect would be devastating.